Is your kitchen outdated and needs a renovation? Let us transform your old and tired kitchen into the kitchen you always dreamed about. The kitchen is one of the most important rooms in your home and it should look good. How would you like new floors, enclosures, and backsplashes that reflect uniqueness and appeal throughout your residential or commercial property? Count on us, professional tile contractors in Richmond Hill, Ontario, for detailed tiling work that brings more life into your home or business. Happy Bathroom Renovation Company excels in tile installations that provide more wonder for your interior while also modernizing your property's decor. Call our professional tile contractors about your kitchen renovation project and get a free quick estimate. Happy Bathroom Renovation Company works with different materials including glass, ceramic tile, glass tile, granite and more. 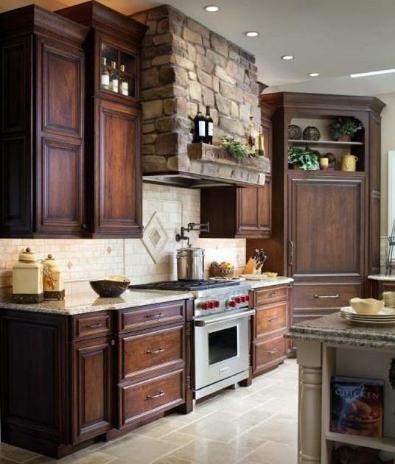 The backsplash is the wall surface between the bottom of the wall cabinets and the countertop. This is a great space to have some fun in your kitchen design by showing off your individual style with color, patterns and textures. The standard backsplash is about 18 inches tall. Because it is installed last and is a relatively inexpensive component, feel free to take some design risks to implement your kitchen design ideas. If it doesn't work out, it won’t be problematic to replace since none of the cabinetry, countertops or appliances will have to be moved. When it comes to backsplash choices, your only limit is your imagination – almost anything goes. Some people choose paint or wallpaper for their backsplash. We at Happy Bathroom Renovation Company don’t recommend this because we feel it’s better to protect the walls from spills and stains with something more substantial and easier to clean. The most popular backsplash option is tile – which comes is a huge variety of sizes, textures colors and shapes. Consider keeping it simple by choosing very similar tile for your backsplash as you’ve chosen for the floor – just in a smaller size. This creates a uniform feel to your kitchen by tying the floor and backsplash together. Would you like to add a touch of character? Add mosaic fragments to your backsplash or select some accent tiles - like metal or glass – to insert into the tile pattern of the backsplash. A single border at two-thirds the height of the backsplash will highlight the beauty of the space and add character. 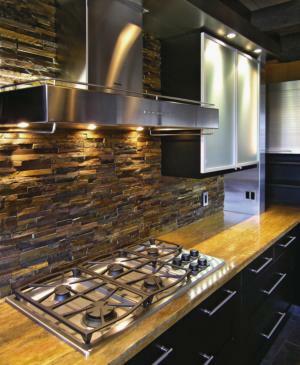 Glass and stone mosaics also are a big trend for kitchen backsplashes today. 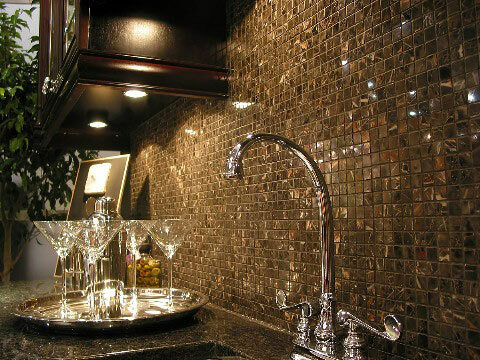 The beauty of mosaics is incomparable – and the backsplash is a great space to show them off since they would be impractical on most other kitchen surfaces. For those who like to keep it simple but elegant, installing the same material you've chosen for your countertop is also a good choice. Since some countertop materials can be pricey, a good option is to extend the countertop material 3 or 4 inches up the wall surface then use a different material for the remaining 14 or 15 inches of the backsplash. Another popular modern concept is to cover the backsplash with a sheet of glass or stainless steel for a very clean, contemporary look. We provide Kitchen Renovation services in Toronto area, Etobicoke, Aurora, Markham, Vaughan, Maple, North York and Richmond Hill.